June 2015 – Got Hair Issues? I've Got Solutions. 1. MONAT uses only R.O. (Reverse Osmosis) USP Pharmacopeia grade water as the base for all of the products. Sixty to eighty percent of most body care products are water. Using R.O. water assures that the products do not contain contaminants. These contaminants include heavy metals, pesticides and other things found in our water today. By using R.O. water, MONAT is able to use minimal amounts of preservatives to maintain the integrity of the products. R.O. water acts as a sponge. It contains empty water molecules looking for something to absorb. These molecules absorb the botanical extracts and vitamins that we add in the manufacturing process, which also provides consistency and superior texture. 2. MONAT products are produced using the highest quality food and pharmaceutical grade botanical extracts, essential oils, vitamins and minerals. We do not use industrial grade vitamins that are found in most body care products on the market today. 3. Small batch manufacturing assures that the products are consistent. 4. The products are never boiled. This assures that the natural, health giving vitamins and botanical extracts, will not lose their nutrient values. Most cosmetics are manufactured in large steam pressurization vats that boil the products at high temperatures, which causes them to turn to a liquid or cream state. This is equivalent to boiling your vegetables too long, taking away all of their nutrient values. 5. Our products are manufactured avoiding the use of heavy chemicals. These ingredients often lead to unwanted skin conditions. It is the goal of MONAT to always provide products that are as close to natural as possible. Product integrity and consumer safety will always be the guiding factor in ingredient choices. We will consult with multiple leading industry laboratories for input and evaluation as to what ingredients will provide the best results. We will only use ingredients that are accepted by the FDA and those that are recognized by the FDA’s GRAS (Generally Recognized As Safe) rule. We also use the USP (United States Pharmacopoeia) standards for ingredient determination. 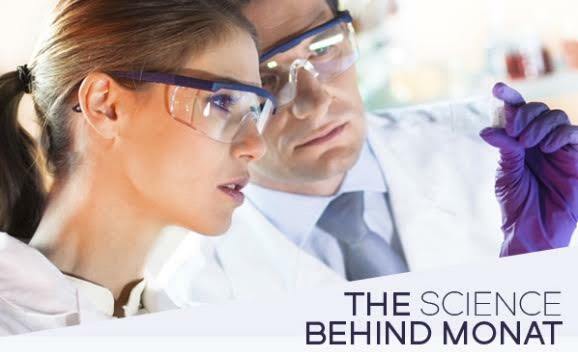 It is our commitment at MONAT to always research and identify ingredients that will provide health, product integrity and consumer satisfaction. I wanted to give a shout-out to and wish all the dads out there a Happy Father’s Day! Thank you for all you do to love, protect and provide for your children. You are making a huge difference to the next generation! – Fights premature hair loss! Our anti-aging products are all plant-based, safe (contain no toxic chemicals), are full of active botanicals that nurture your hair follicles with vitamins, minerals and amino acids (which lead to healthier, younger-looking hair and many times some regrowth too). Contact Me today if you have any questions. If you’re ready to give MONAT a try, Click Here to place your order! MONAT’s products deliver their naturally-based ingredients exactly where they’re needed the most. They work in harmony with each other to promote scalp and hair shaft health, and unlike other brands, the more you use the products, the more your hair responds. Capixyl (Red Clover Extract) – helps reduce scalp inflammation, strengthens and thickens hair while stimulating natural growth. Procataline (Pea Extract) – helps maintain healthy levels of antioxidants in follicles to combat premature thinning while protecting color and shine. Crodasorb – UV absorber that helps protect hair from sun damage while preserving natural color. 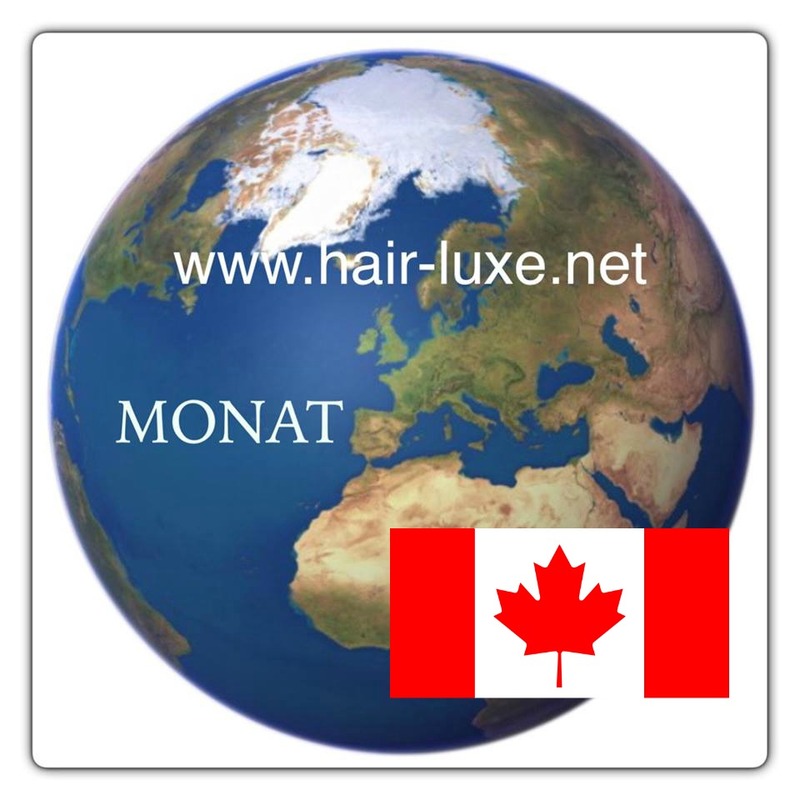 I am getting tons of website traffic from Canada so word is getting out that MONAT is coming to the beautiful country of Canada very soon! Canada is our first country outside of the USA that we are bringing our amazing products and opportunity to. I know there are lot of excited Canadians that want to hear about this! If you’re one of them, please CONTACT ME right away! 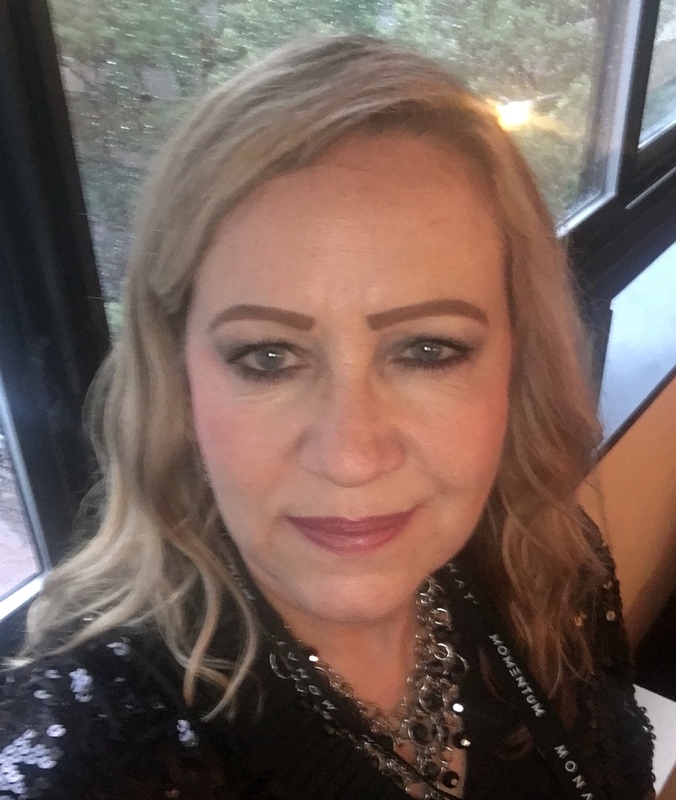 This is such a great ground floor company because we have a clinically-proven, unique anti-aging hair product line that people are ABSOLUTELY LOVING and there’s currently nothing else like it on the market! Be one of the first to introduce it to your local area! 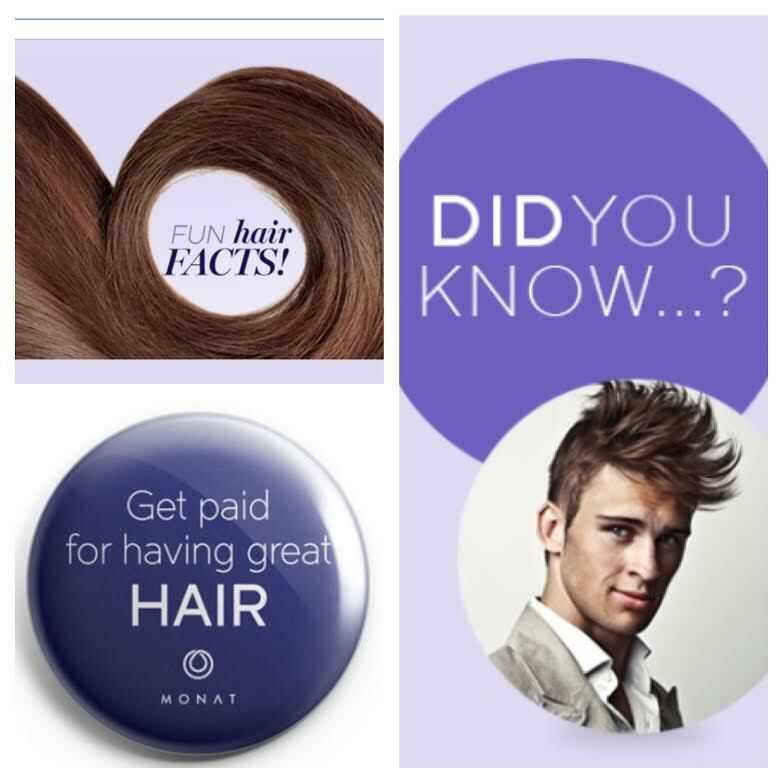 Let’s talk so I can give you more information about what MONAT has to offer. 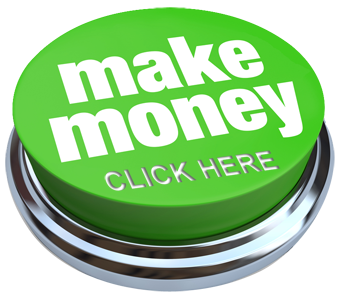 There’s a LOT of money to be made and I can help you get some of it! Get paid to have great hair and to help others get it too! Do you have thinning hair? Know of someone who does? 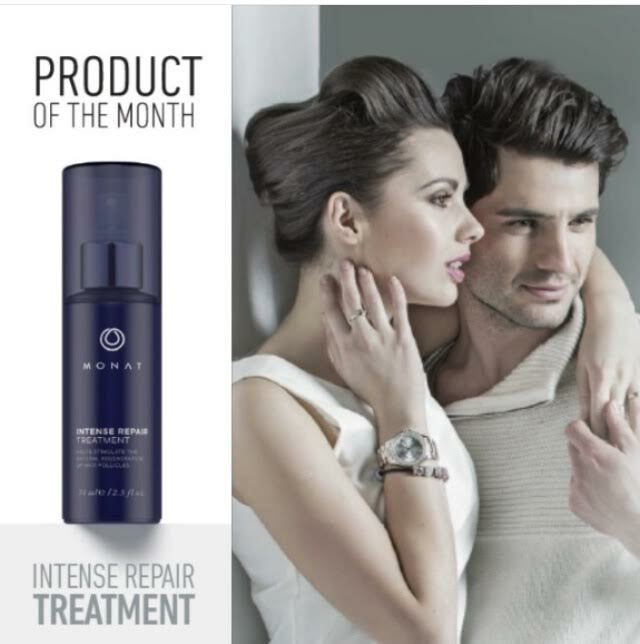 As an intense daily leave-in treatment, our Product of the Month, MONAT Intense Repair Treatment, is in our Men’s Line but many women who are experiencing hair loss are having amazing results with it too! Intense Repair Treatment has the most concentrated amount of Capixyl, which is the ingredient in our products that helps stimulate the scalp, boosts hair growth, and strengthens the follicle anchoring system. MONAT products are botanically-based and contain no harmful chemicals, no phthlates or parabens and are free from PEG, DEA/MEA, harmful colors or fragrances. They’re also cruelty-free and made in the U.S.A. I ran across some interesting facts about hair that I didn’t know before and I thought it would be fun to share them with you. 1. Hair is made up of mostly keratin, the same protein found in animals’ horns, hooves, claws, feathers, and beaks? 2. When wet, a healthy strand of hair can stretch an additional 30% of its original length. 3. Hair grows slightly faster in warm weather, because heat stimulates circulation and encourages hair growth. 4. All hair is dead, with the exception of the hair that’s still inside the epidermis of your scalp. 5. Hair contains information about everything that has ever been in your bloodstream and is one of the most commonly used types of forensic evidence. 6. The only thing that can’t be identified by your hair is your gender – men’s and women’s hair are identical in structure. MONAT is beginning its global expansion! We will be launching in Canada October 1st! This is sooooo exciting! During August and September (during pre-launch), I will be looking for ambitious people who want to be a part of expanding a quickly-growing company that started in the U.S. but will be opening in many different countries. Canada is only the beginning. Who do you know in Canada who is business-minded and knows a good opportunity when they see one? Someone who likes the idea of being part of an awesome team and an exciting company and loves the idea of making some fantastic money. Who wants to be one of the first in Canada? Please Contact Me if you’re interested in finding out more. Nobody wants to go bald which is why the hair loss industry and hair replacement product business is estimated to exceed $1.2 billion dollars this year! Did you know that half of a man’s head of hair will be gone before it becomes cosmetically visible? How unfair is that? But hair loss, even male pattern baldness, is typically too gradual to cause panic right away. The fact that most guys aren’t noticing hair loss until it’s half gone should motivate them to get ahead of the game and assess what they had and what they’ve got, and determine if action is necessary now, while they still have plenty of it to work with. 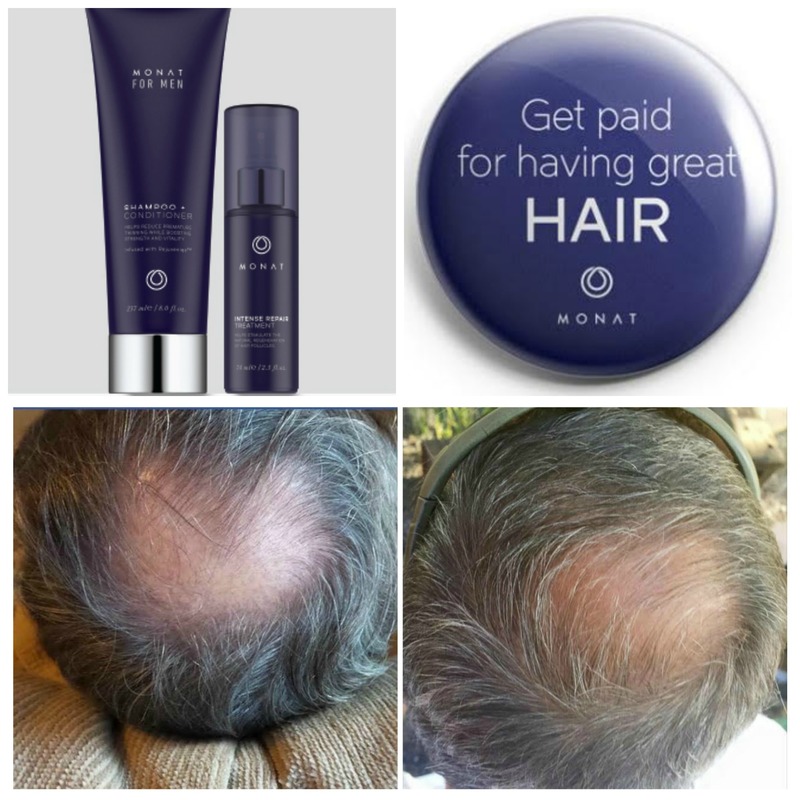 MONAT is men’s hair loss prevention at its finest! Our Men’s 2+1 Shampoo/Conditioner Combo helps to provide the scalp with active botanicals that strengthen the hair anchoring system and keep the follicles open, enlarged, healthy and growing. In addition, our Intense Repair Treatment contains the highest amount of the active ingredient Capixyl, which stimulates the process without the harsh chemicals and side effects that other products like Rogaine and Minoxidil produce. Instead of waiting until you see advanced hair loss, why not take a proactive approach to your hair care and keep it from happening in the first place? CONTACT ME if you’re interested in trying out our Men’s Treatment System (there’s a 30-day money-back guaranty) and need more info. If you’re ready to get it now and begin fighting off future hair loss, CLICK HERE to shop online! There are two different options. You can purchase the products at retail pricing or you can sign up to be a VIP Customer and save money on your products (as well as get FREE shipping) and also get other perks too! If you have any questions at all, CONTACT ME here! Man Sale of the Year! In honor of June being both Father’s Day AND “Men’s Health Month“, MONAT is celebrating our Male Customers! Why not give the man in your life the gift of healthier hair (and maybe a little regrowth if he needs it)! 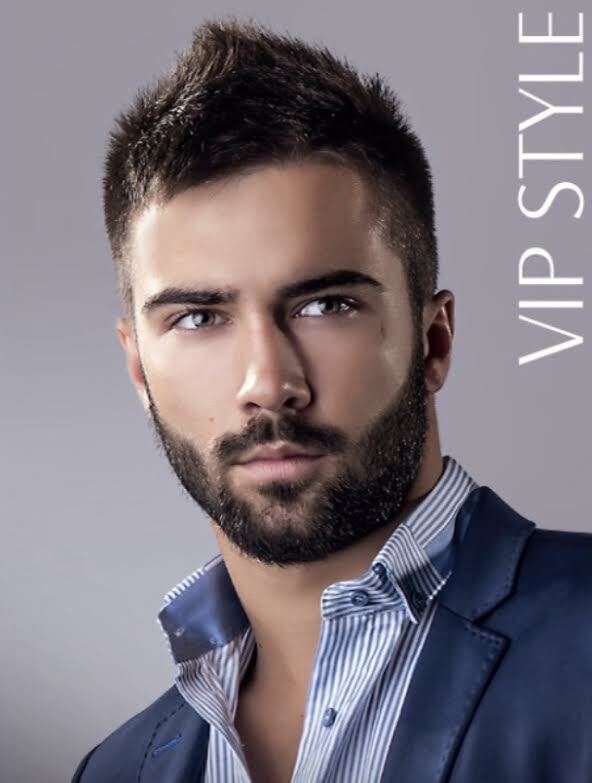 For all of our VIP Customers (new and already existing), who purchase a product line (Balance Line, Volume Line, Men’s Line, or Rejuveniqe Oil), they can purchase a Men’s Line of products (Men’s Shampoo/ Conditioner 2-in-1 and Intensive Repair Spray) for only $35. This is a $49 savings and the perfect gift for the man in your life (husband, brother, dad, boyfriend, son, friend, etc). And the $35 Men’s Gift Set comes with a really cool DOPP “man bag” in your choice of either gray or black (while supplies last). This offer is good until Sunday, June 6, 2015 at midnight Eastern Standard Time! Don’t wait! Order today and Father’s Day is all taken care of! If you haven’t tried MONAT yet, now’s the time to get it for yourself and also for Him at an AMAZING discount. If you’re not sure what a VIP Customer is, Click Here to get more information on that or Contact Me and I can answer your questions and help you get signed up. This is a sale you don’t want to miss. Our products are botanically-based and contain no harmful chemicals, no phthlates or parabens and are free from PEG, DEA/MEA, harmful colors or fragrances. They’re also cruelty-free and made in the U.S.A.
June is MONAT Month MANified! As you know, the hair and skin care industry is very female-oriented. This is partly true because of an emphasis on hair and skin care for beauty as well as for health reasons, and partly because women tend to be more concerned about their looks than men. 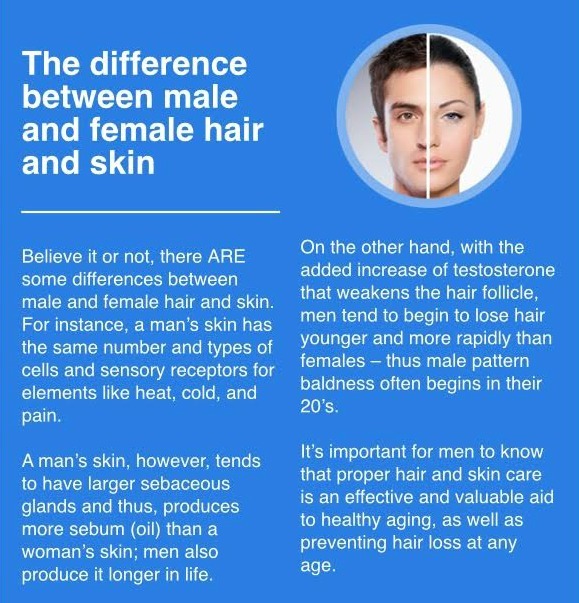 Men, as a whole, haven’t been conditioned to care for their hair and skin like women have been. The typical routine for a man is to use the soap that’s in the shower to wash their face and hair, lather up with shaving cream, then splash on an alcohol-based after shave or cologne. An optimal routine for good grooming? Probably not. However, over the past few years, that attitude is changing. More men are becoming concerned with good grooming and being aware of the health aspects of making sure their hair and skin are cared for properly. And men are LOVING our MONAT Men’s Product Line! 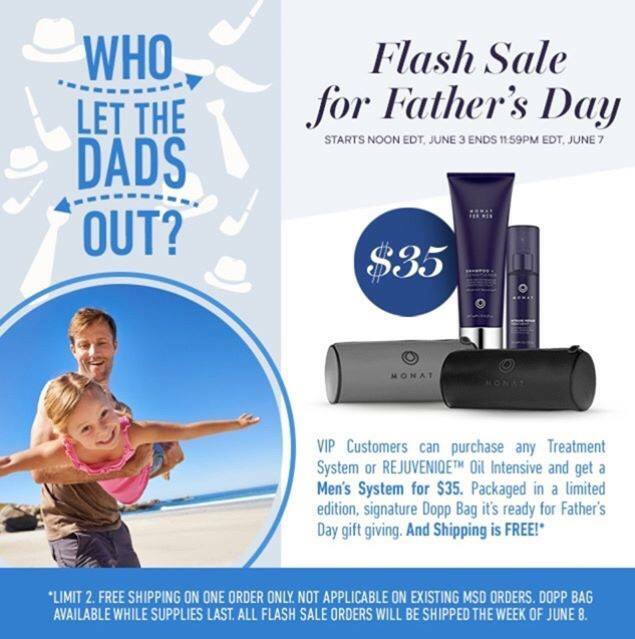 June is MONAT “MANified” in honor of Father’s Day and Men’s Health Month. If you’ve got a man in your life who could use healthier hair (and some re-growth if he needs that), why not give our products a try? Our products are botanically-based and contain no harmful chemicals, no phthlates or parabens and are free from PEG, DEA/MEA, harmful colors or fragrances. They’re also cruelty-free and made in the U.S.A.
CLICK HERE to order products, or CONTACT ME to find out more!